These are the most beautiful little white hand tatted booties! 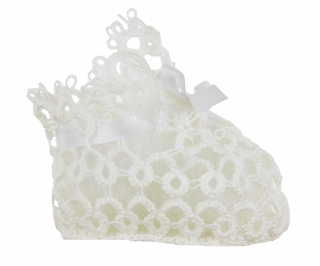 Made in vintage style, they feature a soft cotton crocheted bottom with a delicate tatted top. 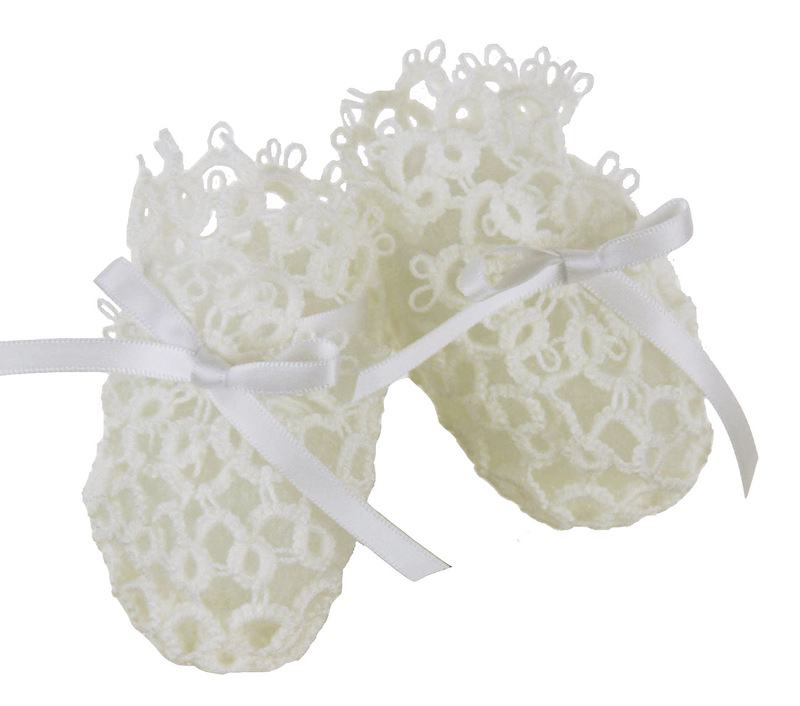 The booties tie at the ankle with white satin ribbons. These unique booties are a lovely keepsake to accompany your baby boy or baby girl's christening gown, dress, or romper. Makes an elegant newborn or gender neutral baby shower gift, too!